There is a pressing need for new public open space and programming along the Lower Manhattan waterfront. When Hudson River Park’s Pier 54 closed in 2011, New York City lost vital parkland that had served both local community and citywide residents. The problem was that there was never enough public funding to support a new pier at that site. Pier55 will revitalize that waterfront space with nearly three acres of new public parkland, a unique design and new arts, educational and community programming. A public-private partnership between the Diller – von Furstenberg family and the Hudson River Park Trust will ensure Pier55 will remain sustainable for generations to come. 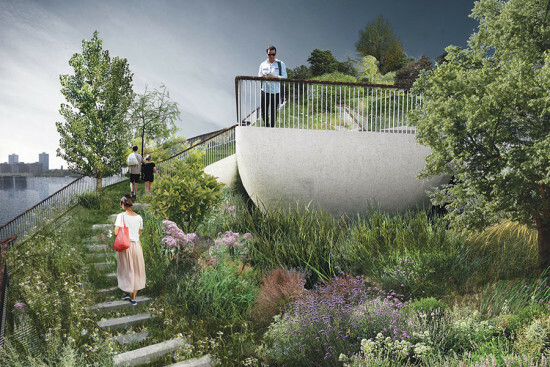 As former City Parks Commissioner Adrian Benepe has written, this use of a public-private partnership follows a long tradition that has supported other public parks across New York City, such as the High Line and Brooklyn Bridge Park, as well as public arts spaces like Central Park’s Naumberg Bandshell and the Queens Theatre in Flushing Meadows-Corona Park. That is all part of why Pier55 has received an overwhelmingly positive response from local families and park advocates who are excited about the future of the Hudson River Park. The project has also been through a rigorous and transparent environmental review process and the New York State Department of Environmental Conservation has already determined that an Environmental Impact Statement is not required. Unfortunately, the City Club of New York disagrees. Instead of engaging the community — as the Hudson River Park Trust and Pier55, Inc. have done over the past year — the City Club continues to make false claims about Pier55 and its public process. The fact is that Pier55 underwent a comprehensive Environmental Assessment which found that the park would have no significantly adverse impact on fish and other aquatic wildlife. The Environmental Assessment remains publicly posted on the HRPT website to this day, and it was distributed publicly for a two-month comment period that went well beyond what is required by state law. Additionally, it has already been stated that pile driving for Pier55 will not occur between November and April, when wildlife like winter flounder and striped bass are found in higher densities in the area. The City Club has provided no actual evidence refuting the Environmental Assessment or proving why any further environmental review would be required. Pier55 will provide a diverse array of programming, but it should be noted that boating activities are already found at numerous other piers along Hudson River Park. Contrary to opposition claims, as determined by the United States Coastguard, Pier55 will not obstruct navigation in the Hudson River because that particular area has never been used for boating activities. Pier55’s commitment to public programming is also based on a commitment to public access. The park will remain open to the public all year round and the vast majority of events at Pier55 will be offered for free or at low cost. It must also be noted that Pier55’s 2.7-acre size is within the scope of what is allowed based on a 2013 law amending the state’s Hudson River Park Act. This amendment, crafted based on input from the local community board and other stakeholders, allowed HRPT to rebuild the former pier outside its original footprint. Aside from all that, it is odd to see the City Club argue that Pier55 — one pier among many at Hudson River Park — will block views of the river. The pier will provide park visitors with new and unique views of the Hudson River, and it will replace a fenced-off site that currently provides no public benefit. Overall, Pier55 is a public benefit that is being funded by necessity through a public-private partnership. Pier55, Inc. is not a corporation — it is a nonprofit organization. It will not reap profits from any events held at Pier55, and all programming revenue will go back into funding the park and serving the public. 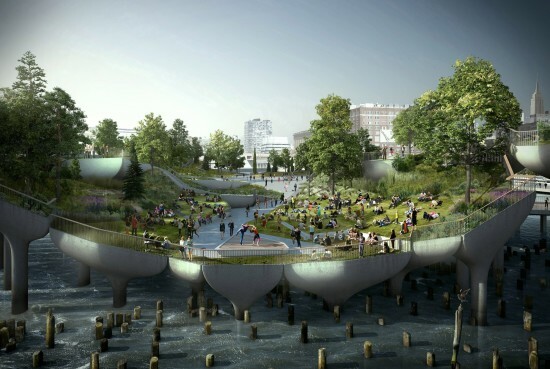 As New Yorkers for Parks and other supporters have noted, this public-private model will ensure that the new pier remains sustainable for generations, even in the absence of public funding. The City Club’s arguments against Pier55 may be numerous, but they are without merit and do not reflect the overwhelming community support for the project, which has only grown as more local residents hear what the new park will provide for their neighborhood. We look forward to continuing to work with all stakeholders on making Pier55 a success for the community and the city. We hope the City Club will reconsider its inaccurate claims and join us in that effort.